I received products from Country Chic Paint to complete this furniture makeover, however the opinions and thoughts expressed here are 100% my own. Hi Friends! 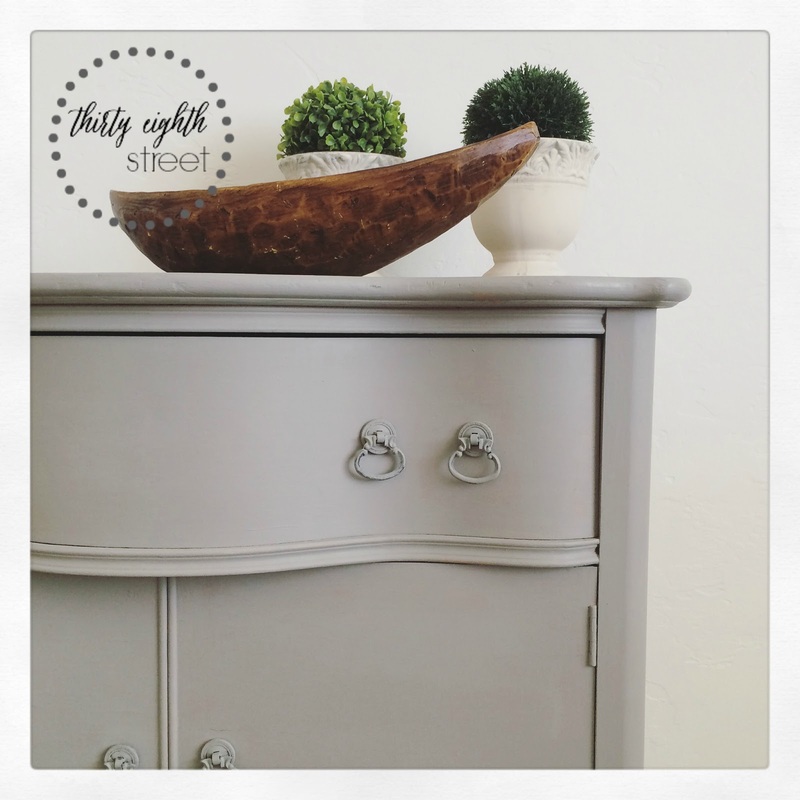 I'm over at Country Chic Paint today to share a quick and easy furniture makeover with some custom paint touches. We turned this lovely serpentine chest into a gorgeous neutral side table and we didn't even take the hardware off. Lazy! Yes, we are! Wow, I have redone almost that exact same piece in almost that exact same finish! 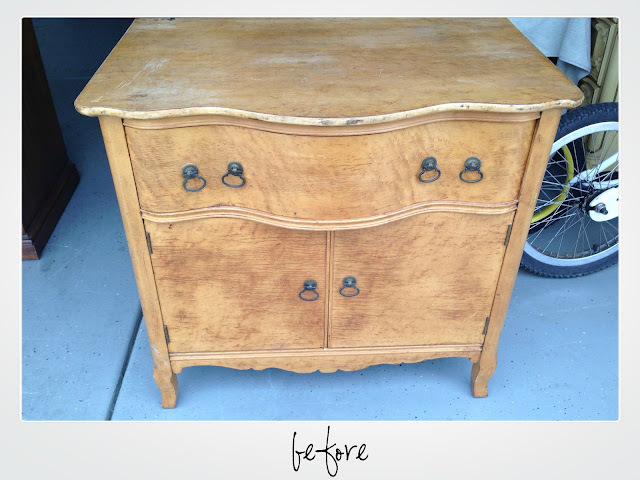 Crazy :) Your little chest looks fantastic, I appreciate you sharing it at #FridaysFurnitureFix! Really?! What a small world! Thanks, Melanie! Love it! using their chalk paint today, this got me inspired! I'm happy to hear it! You'll love it!